Through the medium of art, music and sport, countless individuals and groups have employed cultural diplomacy throughout history; drawing attention to issues of universal concern through cultural expression to ease conflict and promote international cooperation. Through this timeline, the ICD recounts keystone acts of Cultural Diplomacy in action, demonstrating its exemplification in a manner surpassing pure theory, thus making the concept more accessible and engaging. "Amerika" was a U.S. Information Agency (USIA) produced, Russian language magazine, it evaded strict Soviet censorship on printing and attemtped to provide their public with an unfiltered view of the West. It sought to provide the USSR with an unaltered view of the United States on the other side of the "Iron Curtain". Stalin's death led to a renewed Soviet-American cultural agreement in October 1956 and the development of a reciprocal distribution scheme of public media. 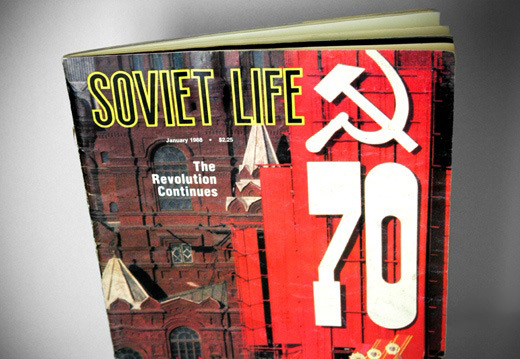 At this time "The USSR/Soviet Life" was also being distributed in the US, "Soviet Life" remain apolitical and only showcased USSR culture (including minorities), science, education and general life. "Amerika" attempted to showcase the benefits of Capitalism but in a non-political sense. Both magazines acted as a window the other country and both were highly sought after in a world of "us versus them" mentalities. Overall, the magazines helped to promote public diplomacy between two superpowers and sought to inform, educate and enlighten their readers up until 1991, with the fall of the Soviet Union. 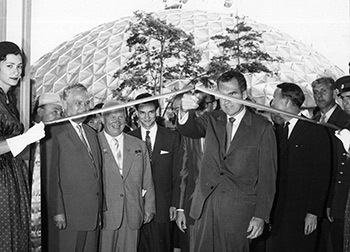 In 1946 the U.S. Senate introduced legislation proposed by James William Fulbright and made history by establishing the world's first international educational exchange program. The program, funded by the U.S government, was launched with the intention of promoting peace and understanding amongst the individuals, institutions and future leaders of the countries across the globe. Senator James William Fulbright said of the program, "[it] aims to bring a little more knowledge, a little more reason, and a little more compassion into world affairs and thereby increase the chance that nations will learn at last to live in peace and friendship." Since its inception the Fulbright Program has provided more than 325,000 participants with the opportunity to conduct research abroad, and has made possible the international circulation of people, cultures and ideas. The Fulbright Program was the pioneering educational project that enabled a broad development of academic exchange all over the world. The first ever international music festival to be held in Wales was held in 1947 by Harold Tudor, an officer of the British Council. A few years prior to the first festival, Harold invited several members of governments' in-exile to attend a music and arts event in Bangor, Wales. Tudor was inspired by the success of the visit and the positive reception it gained, as illustrated to him by a letter he received from one of the attendees appreciating the way in which music can alleviate the effects of war. The 1947 International Eisteddfod was unanimously heralded as a great success with several acts from all over the globe performing and competing together. A poignant moment in the festival's history occurred in 1949, just four years after the end of the war, when a German choir took part in the festival. The choir was introduced to the stage by the compère as 'our friends from West Germany' and received a warm reception and a rapturous applause from the audience. To this day Llangollen International Musical Eisteddfod continues to showcase talent from all over the world. 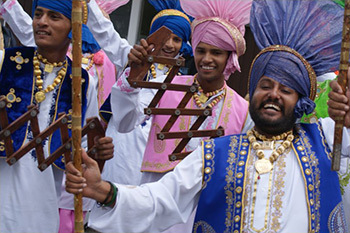 The Llangollen International Musical Eisteddfod acts as platform of cultural exchange in which participants and audience members can share in the joy of an international celebration of music and dance. By easing cross-cultural tensions it has proved to be successful in its mission to promote peace. At the onset of the Cold War in 1947, the renowned American writer John Steinbeck travelled across the Sovet Union, accompanied by former war photographer Robert Capa with the sole purpose of reporting on the ordinary lives of the Soviet people. In their forty day long journey, the famous travellers caught of a glimpse of the real Soviet Union, which was both remarkably familiar and in stark contrast with the politicised depictions of the time. Prior to its publishing, ''A Russian Journal'' was serialized and featured in the New York Herald Tribune where it was praised as a work of honest journalism. Perhaps the most notable achievement of Steinbeck's work is not so much that it brought about change but rather that it gave millions of Americans the ability to better understand life behind the iron curtain. It was Adam Clayton Powell Jr., a US representative from Harlem, who first suggested that instead of sending symphonies and ballet groups abroad, the US should be sending jazz musicians. This way he said, the world would get to see ''the real Americana''. Jazz was a lively and inspiring homegrown art form capable of captivating the world, and as novelist Ralph Ellison described it: an artistic counterpart to the American political system. The soloist can play anything he wants as long as he stays within the tempo and the chord changes — just as, in a democracy, the individual can say or do whatever he wants as long as he obeys the law. 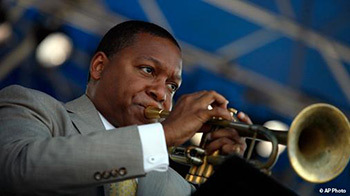 The Jazz Ambassador tours lasted many weeks, featuring some of the US' greatest jazz musicians such as Dizzie Gillespie (1956), Louis Armstrong (1961) and Benny Goodman (1962). At a time when America's image was tarnished across the world, the heart and soul of the nation was translated into a rhythm the rest of the world could understand and appreciate. From the dusty streets of Cairo to the very heart of the Soviet Union, American Jazz Ambassadors would set out to prove that their nation was anything but ''culturally barbaric'', as was often claimed in Soviet propaganda at the time. In 1954, the famous American actor and singer Danny Kaye became the first UN Goodwill Ambassador. It was the first time that the power of celebrity status had been used to reach a global audience with the aim of improving the lives of millions of children all over the world. Since then, a total of 16 United Nations organizations have introduced the Goodwill Ambassador program. Every year, stars of screen, music, sport and literature stand by the noble aims of the United Nations and become advocates of people in need. The field of their voluntary work is broad; it goes from participation in public hearings, fund-raising galas or concerts to engagement in projects within post-conflict zones. The Goodwill Ambassador project is an excellent example of how art, culture or sport can be used to draw global attention and foster increased understanding of the myriad of challenges faced by children and vulnerable people every day. The involvement of celebrities in global politics has improved relations between divergent groups, thereby implementing cultural diplomacy. 'The Family of Man' was an exhibition of 503 photographs by 273 artists from 68 countries visualizing ideas of peace and 'the essential oneness of mankind'. The exhibition was created by Edward Steichen for the Museum of Modern Art in New York. The exhibition was grouped by themes common across all cultures: love, birth, labor, and joy, amongst others. Images by famous artists such as Robert Capa, Henri Cartier-Bresson, Dorothea Lange, Robert Doisneau, August Sander and Ansel Adams were staged in a modernist and spectacular manner. 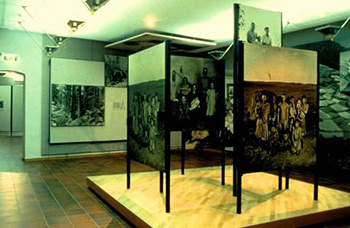 After its display, the exhibition became one of the most famous in photographic history, and toured more than 150 museums worldwide, attracting more than 10 million visitors. The photographs displayed in the exhibition focused on the commonalities that bind people and cultures around the world. It expressed humanism in the decade after World War II. The exhibition displayed peace and human brotherhood as a symbol in the light of the looming danger of an atomic war for Soviet citizens. During a shooting party in 1951, the managing director of the Guinness Breweries, Sir Hugh Beaver, attempted to find an answer to the question of which was the fastest game bird in Europe. Unable to find a reliable source to solve this problem, Sir Beaver realized that many similar questions remain unanswered. He proposed then, to create a single book that would gather interesting facts and figures. In 1954, the twins Norris and Ross McWhirter published the first copy of The Guinness Book of Records, which became an immediate success and progressed to the bestseller list. Starting out as a trivial collection of facts, popular mainly in English pubs, the book went on to become a respectful source of information on human and natural records. 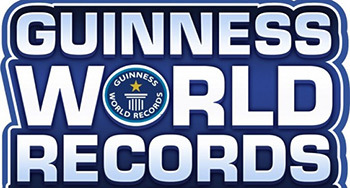 The Guinness World Records Book can be considered as an interesting example of cultural diplomacy in practice as it transcends national, cultural, and linguistic boundaries between people. The idea of creating a European song contest emerged for the first time in 1950s as the countries of Europe attempted to rebuild and reintegrate following World War II. Marcel Bezencon, director general of Swiss television and the chairman of the European Broadcasting Union, proposed to establish a TV song contest that would be broadcast to all European countries. The first Eurovision contest took place in 1956, in Lugano, Switzerland; it was made ip of only seven countries, performing two songs each. Eurovision rapidly expanded with more and more countries taking part, to the extent that 2014's Eurovision will contain over 30 different participants. Amongst the numerous rules of the contest one of the most important, from a cultural diplomacy standpoint, is that it is not possible to vote for an artist originating from the same country as the voter. This leads to an emphasis on appreciating songs from other cultures, rather than simply inciting competition between representatives of particular countries. Van Cliburn was an American pianist who won the finals of the first International Tchaikovsky Piano Concert in Moscow 1958. Van Cliburn had been playing piano his entire life and it was at the age of 23 when he was announced as the winner of the Tchaikovsky competition. His performance earned him a standing ovation that lasted for eight minutes, and when it was time to announce the winner, the judges were obliged to ask permission from Soviet leader Nikita Khrushchev, as to whether or not the first prize could be gifted to an American. When asked, Khrushchev replied, "Is he the best? Then give him the prize". When Cliburn came home, he was welcomed by a ticker-tape parade in New York City, the only time such an honour has been bestowed upon a classical musician. In his speech of gratitude he spoke of the honour being bestowed on not just him but on classical music in general. 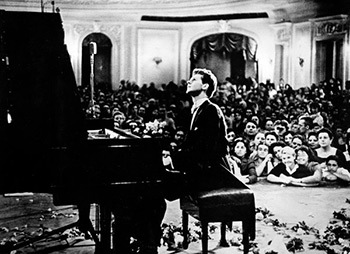 Cliburn winning the prize was an important event during the cold war, an event that lived long in people's memories. Many years later, in 1987, Cliburn was invited to perform at the White House for President Ronald Reagan and the Soviet President Mikhail Gorbachev. He later received both the Presidential Medal of Freedom in the US and the Russian Order of Friendship. Following his death, The Wall Street Journal hailed Cliburn as a "cultural hero" who "rocketed to unheard-of stardom for a classical musician in the U.S." The Associated Press called him "the rare classical musician to enjoy rock star status". The success of Cliburn gave a clear demonstration of how culture and music can ease tensions in even the most volatile of situations. The Chinese practice of gifting pandas as a diplomatic gesture dates back to as far as the Tang Dynasty, when Empress Wu Zetian (625-705) sent a pair of pandas to the Japanese emperor. ''Panda Diplomacy'' was revived in the 1950s, at a time when the People's Republic of China actively sought to improve relations with governments in the West, with one of the first exchanges taking place in 1958. 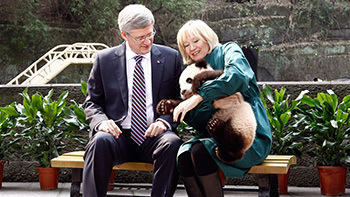 One of the most notable examples of this practice in recent history is the gifting of a panda to the United States in 1972, following the thawing of Sino-American relations and Nixon's visit to Beijing. In Chinese culture, pandas are regarded as a symbol of peace and friendship, with its black and white colour resembling that of ''Yin-Yang'', the ancient philosophy of harmony, often regarded as a cornerstone of modern Chinese foreign policy. In the last fifty years, these furry and increasingly rare 'Goodwill Ambassadors' have become prized possessions representing Chinese culture and its desire for peaceful cooperation. In 1957 the Soviet Union and the US agreed to hold exhibitions in each other's countries as a way to promote understanding through cultural exchange and begin a process of rapprochement. Taking the lead in 1958, the USSR held an exhibition in New York showcasing the best of Soviet life before the Americans brought their exhibition to Moscow the following year. Sponsored by their respective governments, the exhibitions included demonstrations of daily life, industry, engineering and entertainment. Whilst the Soviets focused on the epitome of their technical innovations, the Americans focused on the many facets of contemporary everyday life in the US. Featuring the latest fashion, home appliances, televisions, automobiles and recreating a model home, the US exhibition resulted in the famous "kitchen debate"; the first high-level meeting between the Soviet Nikita Khrushchev and the US Richard Nixon since the Geneva Summit in 1955. 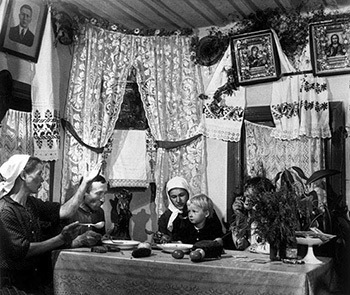 The exhibitions led to discussion and debate between Americans and Russian at every level of society, presenting a rare opportunity for intercultural dialogue. Even though the two countries did not agree on everything, such as whose economic model was the better, both leaders agreed that their countries should be more open to each other. The project intended to narrow the gap between the Soviets and the Americans and to improve relations between them. 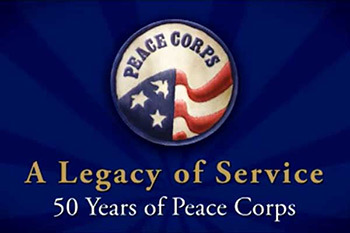 John F. Kennedy outlined the idea of a "Peace Corps" organization during his 1960 presidential campaign. The President believed that properly funded and well organized volunteers could be placed in lieu of soldiers for a corps designed to bring peace, not war. Such a corps could bring the might of US resources and the best of American cultural values to areas in need of assistance, in turn taking back the best of other world cultures. Peace Corps volunteers are American college graduates who, after three months of training, work abroad for a period of 24 months with the aim of promoting world peace and friendship. Volunteers work with multiple institutions such as schools, governments and non-profit organizations. Serving in 139 countries and spearheading a plethora of initiatives like the eradication of malaria in Africa initiative, the Peace Corps has seen over 210,000 American citizens join its ranks since its inception. Cultural exchange is intrinsic to the Peace Corps organization and it encourages cooperation between all nations and peoples, strengthening cross-cultural relations. In the mission for peace, boundaries between nations are diminished, stereotypes are eradicated, and culture mixes freely. In the early sixties several African nations hosted the "Friendship Games" sport event. Originally limited to a handful of French-speaking on the continent, it soon expanded and by 1965 the Friendship Games became the "All-Africa Games", with nations from all over Africa sending the best of their athletic talent to compete. The idea of holding an All-African sporting event was first conceived in the 1920s, however colonial powers suppressed the notion, fearing that such an event could ignite nationalistic sentiment and undermine their rule. The eventual formation of the event was a victory for unity and cultural expression free from colonial rule. 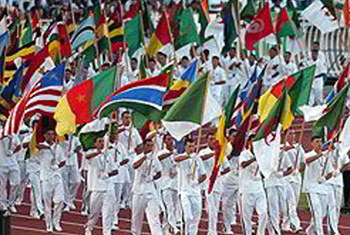 The All-Africa Games have inspired the creation of other multi-sport events across the world, such as the Pan-Armenian Games with athletes from countries form the Armenian diaspora participating. Although competitive, the shared experience of sport is an exemplary means of connecting people, and such events are powerful vehicles for uniting people from different cultures all over the world. During the 1965 Knesset elections Abie Nathan, a World War II veteran and former Israeli Air Force pilot, vowed that if elected he would set out to improve relations with Egypt, Israel's enemy at the time. Despite falling a few thousand votes short of securing a parliamentary seat, Abie decided that he owed it to his voters to follow up on his promise and made preparations to fly to Egypt on the 28th of February the following year with the intent of speaking to the Egyptian president. 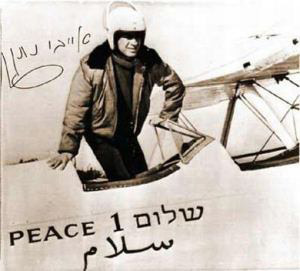 In a white plane dubbed 'Shalom 1' (Peace 1) and with the word 'peace' inscribed on it in English, Hebrew and Arabic, Abie made his way to Egypt. Lacking a radio and thus permission to land, the courageous Israeli was forced to land at Port Sa'id as he was running out of fuel and was immediately apprehended by the Egyptian authorities upon arrival. After his release and subsequent return to Israel, Abie Nathan was welcomed home by thousands of supporters and as the news of his daring flight rapidly spread, the story make international headlines. Abie had shown the world the enduring power of the peaceful gesture and the actions of this one man overcame years of mutual distrust, animosity and cultural rejection. Upon his return to Israel, Prime Minister David Ben-Gurion praised his action as an ''event of political and moral importance that deserves respect''. This is an excellent example of one human being that tried to settle the conflict between two hostile countries in a symbolic way. 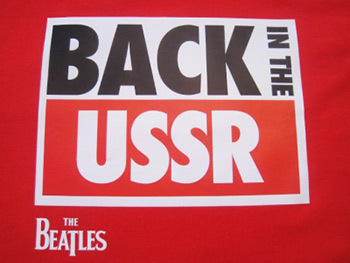 "Back in the USSR" was the first song on the Beatles' 1968 White Album. Written as a parody of an earlier Chuck Berry song, the goal was to humanize the young people living behind the Iron Curtain. In 1988 Paul McCartney put together an official album of Beatles songs directed to his Soviet fans, and issued half a million copies. 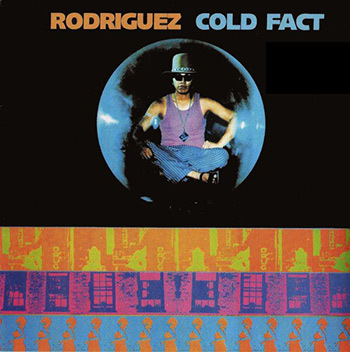 This was the biggest release by a foreign musician in the Soviet Union and the album sold out rapidly, staying in high demand on the black market. The cover of the album features a quote from McCartney which says: "In releasing this record made especially and exclusively for the USSR, I am extending a hand of peace and friendship to the Soviet people." The Beatles had a major effect in Russia during the time of the Cold War and the release of this album represents a perfect example of how musicians and their songs can influence people in difficult times. Russians were told stories about people in the West, and through the songs of the Beatles they realized that these were not reflecting reality. The Beatles became unintentional cultural ambassadors in times of conflict. 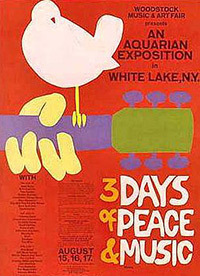 Woodstock Music Festival was billed as '3 days of Peace & Music' and was held in the town of Bethel, New York. 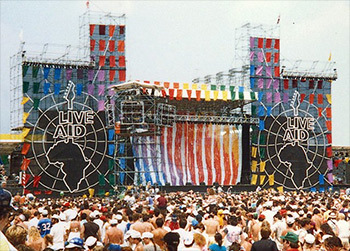 Such was the popularity of the sentiment; more than double the expected number of festivalgoers attended and eventually resulted in the event becoming a free festival. A festival of that magnitude had not taken place before but ran peacefully, with festivalgoers contributing to maintaining a sense of social harmony and peace. The legacy of the festival is maintained in popular culture through the famous 'Woodstock' documentary. The Woodstock Festival of 1969 is widely considered the pinnacle of the 1960's zeitgeist advocating freedom of expression and love. Music is a powerful tool for uniting people through cultural exchange; this is perfectly illustrated by the shared experience of the festivalgoers at Woodstock. The Woodstock Festival remains a symbol of the principles of love and peace embodied by the late 1960's in the hearts and minds of many. 'The people are just like us. They are real, they're genuine, and they've got feelings. I made friends, I made genuine friends, you see. The country is similar to America, but still very different. It's beautiful". 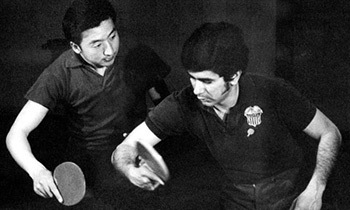 One of the strongest examples of Cultural Diplomacy, this simple act of bringing together people separated by ideology, distance and culture through the sport of Ping-Pong is considered one of the major precursors to the Chinese-American détente. Improving opinions in both Washington and Beijing, the event signaled intentions of openness by both countries and softened tense relations, paving the way for Nixon's famous Beijing visit in 1972. The widespread popularity of Chinese martial art films worldwide in the early 1970's became known as the 'Kung fu wave'. 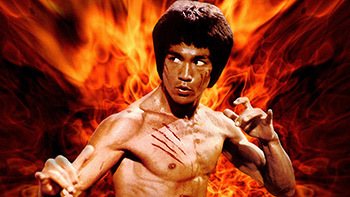 Bruce Lee was the face of this movement and became the first Chinese global superstar. The release of 'Enter the Dragon' in 1973 was the apex of the global 1970's Kung-fu wave and was the first ever US-Hong Kong co-production. The most internationally successful at the time, the USA deemed the film an artifact of 'cultural significance' and has preserved it in the National Film Registry. Historians note the resonance of such films amongst African-Americans, who particularly embraced this genre of film due to the appeal of non-white heroes who often displayed a sense of nationalistic pride. The Hong Kong influence can still be felt in worldwide action cinema today; Quentin Tarantino's recent Kill Bill films are a prime example of this influence, with the films paying homage to the classic martial arts genre. Bruce Lee's legacy helped imprint Chinese martial arts culture into the global consciousness. The US-Hong Kong co-production of 'Enter the Dragon' signified a fusion of American and Chinese culture and challenged the dominance of typical western action movies with white heroes. Written by German Eurovision-songwriting duo Ralph Siegel and Bernard Meinunger and performed by Nicole, the song 'Ein bisschen Frieden' ('A little bit of peace') won the 1982 Eurovision Song Contest. 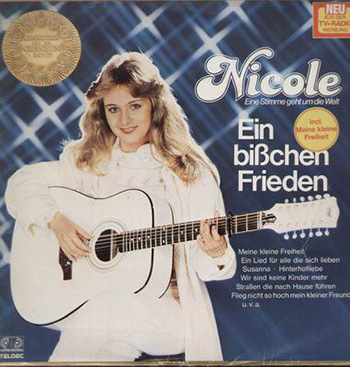 The lyrics of the song advocated world peace and hope, with Nicole performing the song in German, English, French and Dutch worldwide. The song was later released in Danish, Italian and Russian, with special German-English-Dutch and German-English-Italian combinations being released also. The song gained chart success in many countries and achieved the Eurovision's largest winning margin for the time, reaching a record margin of 61 points. The global success of the song performed at the Eurovision Song Contest, a platform for cultural exchange, highlighted a cross-cultural wish for peace. 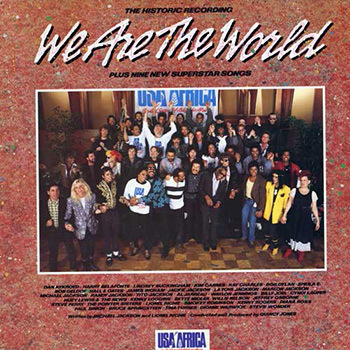 The performance (and the later release) of the song in various languages made the song's lyrics accessible to people from various countries, promoting unity between cultures. Tensions were high between Russia and the USA during the Cold War Era; fears that nuclear war would break out were rife and were exacerbated by the media. 10 year old American Samantha Smith wrote a letter to newly appointed Soviet Leader Yuri Andropov asking if war was going to break out between the USA and Russia and if this was not the case, how war was going to be prevented. Yuri Andropov sent a response expressing the Soviet Union's wish to not be at war and his hopes for a peaceful Earth. The communication between the young girl and the Soviet leader attracted much media attention in both countries. Andropov invited Samantha and her family to a two-week visit to Russia, the visit was closely followed by the media and a press conference was held, in which Samantha described the Russians as 'just like us'. Samantha became known as America's 'Youngest Ambassador' and later attended the Children's International Symposium in Japan. The extensive media coverage of the story of Samantha Smith revealed a unified wish for peace between the USA and the Soviet Union. The increased awareness brought about by the media helped alleviate the culture of fear and improved relations between the two countries. 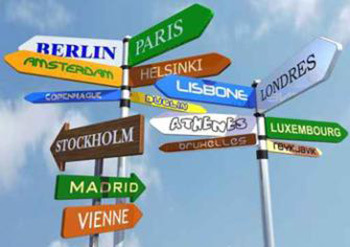 The European Union 'Erasmus' student exchange program was founded in 1987 and has been expanding ever since, incorporating an increasing amount of countries and more levels of study. In 2007, the Erasmus program was incorporated into the European Union's ''Lifelong Learning Program 2007-2013''. Since its creation, close to 3 million students have taken part in these exchanges. The program is named after the Dutch philosopher Desiderius Erasmus of Rotterdam who lived and worked in many places in Europe to expand his knowledge and gain new insights. In a similar fashion, the EU program aims to broaden young people's horizons, helping them acquire valuable skills such as the knowledge of foreign languages, adaptability and intercultural awareness. 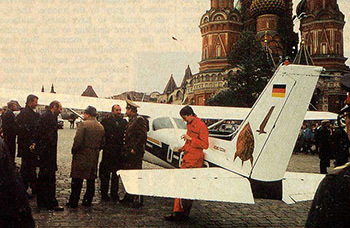 During the Cold War era, 18-year-old Mathias Rust from West Germany flew from Finland to Moscow and illegally landed near the Red Square. Rust's plane was mistaken for a friendly aircraft and was thus able to enter what was deemed the most impenetrable air-defense system in the world. The West's fears of the East were reduced by Mathias' ability to enter Russia unharmed. Mathias' aim was to create an 'imaginary bridge' over the Iron Curtain between the West and the East in order to ease Cold War tensions. Two months after Rust's landing, the leaders of the USA and the Soviet Union signed a treaty to eliminate intermediate-range nuclear weapons in Europe. This daring feat by Mathias Rust acted as a catalyst for the strengthening of relations between the West and the East, helping bring an end to the Cold War era. His message of unity and peace was shared around the world. 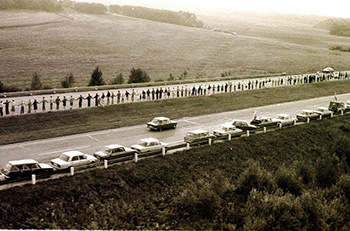 On August the 23rd 1989 nearly two million people joined hands to form a human chain, 'The Baltic Chain', which spanned almost 370 miles and 3 countries - the Baltic states of Estonia, Latvia and Lithuania. The Baltic Way marked the 50th anniversary of the Molotov-Ribbentrop Pact between the Soviet Union and Nazi Germany. The pact divided the areas of Eastern Europe into Nazi and Soviet 'spheres of influence' and directly led to the occupation of the Baltic States by the Soviet Union in 1940. The Baltic Way was a call for independence by all three of the Baltic States. The Baltic Way drew much global attention at the time, thereby succeeding in publicizing the Baltic cause and became a symbol of Baltic solidarity. The Baltic Chain was an example of citizen diplomacy that actually succeeded without the use of traditional diplomacy. The effects of the Baltic Way were felt within the year, as Mikhali Gorbachev signed a document condemning the Molotov-Ribbentrop pact, and within 7 months of the protest, Lithuania became the first of the Republics of the Soviet Union to declare independence. The construction of the International Space Station (ISS) began on 20 November 1998. The Zarya Module, which was American-funded but built by Russians, was launched into orbit around the earth. 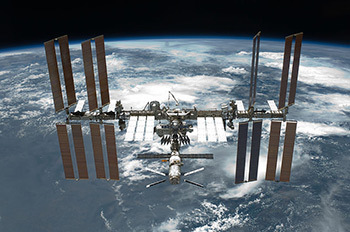 An international partnership of space agencies, from the US, Russia, Europe, Japan, Canada came together to assist in the construction of the ISS. The ISS has been the most politically complex space exploration program ever undertaken. At the moment the ISS has a permanent crew of six astronauts, who carry out research in diverse areas such as life, earth and space sciences. The International Space Station was the result of joint efforts by space agencies from sixteen different countries. The project brought together international flights crews, thereby using science as a vehicle for Cultural Diplomacy to strengthen international relations. Culinary Diplomacy, sometimes also called ''Gastrodiplomacy'', is defined as the use of food as an instrument to create cross-cultural understanding in the hopes of improving interactions and cooperation. Culinary Diplomacy is a relatively recent innovation in the field of Culture Diplomacy, making its official introduction at the beginning of this century with several governments such as South Korea and Thailand sponsoring culinary initiatives. It was mentioned in a 2002 Economist article on ''The Thai Kitchen of the World'' program, the world's first government-led culinary diplomacy initiative that really coined the term and inspired other governments to follow suit. 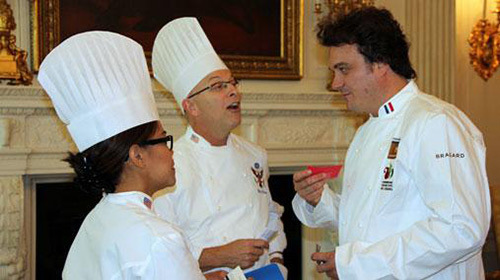 In 2012 the US government took note and launched its very own ''Culinary Diplomacy Partnership Initiative'' with more than 80 American Chefs being named to its ''American Chef Corps'' and being sent abroad on a public diplomacy mission to educate foreign audiences on American cuisine'. In 2001, immediately after 9/11, the Shared Values Initiative was launched by the U.S. State Department under the supervision of Charlotte Beers, a former Madison Avenue advertising executive. The initiative consisted of five mini-documentaries, a promotional website and other numerous communication elements, including TV spots and radio programs. The videos portrayed "Real Muslim Americans" participating in their daily activities. The Shared Value Initiative was designed with the attempt of persuading the audience of Muslim countries to be more aware of American culture by eliminating myths about the treatment of Muslims in the US. 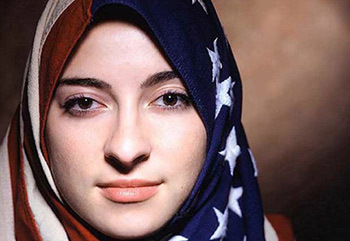 As a result, the initiative intended to promote a "new" America to Muslims, by showing that American Muslims were living happily and free to participate in their daily activity in America without persecution. In 2000, the small company of the Canadian man Jean Beliveau went bankrupt. To avoid exasperation, he decided to travel around the world by foot, carrying only with him the bare necessities. 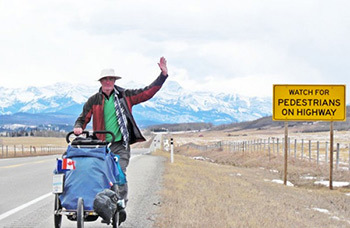 He was welcomed into stranger's homes; he was fed and supported from people around the world for the duration of his 11 years walk. The real mission of the action, he said, was to encourage Canada and other governments to create "ministries of peace". He also expressed his view of the world by claiming: "we are all different, and that is what is beautiful about life on Earth - our different colours, different beliefs, different political systems". Walking across the world abated his previously held stereotypes regarding people from other cultures and thus helped him gain a wider perspective of the world. He was touched by the compassion of the people who opened their homes to him despite being a total stranger and the support he encountered for his actions and goals. This peaceful act and way of experiencing the world can hopefully inspire more people to fight their prejudices and encourage them to appreciate the plethora of cultures across the world. The story of Beliveau demonstrates the possibility of a simple act to spread the principles of peace around the globe and to influence national politics. In 2003, the bottom-up project started by the Women in Peace building Network issued a statement of intent stating that "in the past we were silent, but after being killed, raped, dehumanized, and infected with diseases, and watching our children and families destroyed, war has taught us that the future lies in saying NO to violence and YES to peace! We will not relent until peace prevails". The organisation initiated a peaceful act in which thousands of Liberian women of different religions, ethnic identities, ages and social backgrounds sang, danced and prayed for peace every day for months in a fish market. The act forced President Charles Taylor to take part in peace negotiations in Ghana. 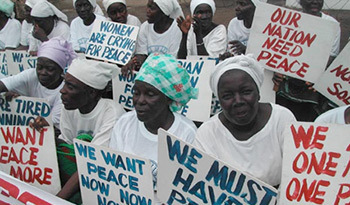 During the talks between the President and the rebel groups, a delegation of Liberian women went to Ghana to continue their struggle for peace. They continued to apply pressure on the negotiators until a peace agreement was reached. This peaceful and successful action has been noticed and awarded all over the world, not least by the Nobel Peace Prize of 2011. Not only did their actions help Liberia to reach peace, but it also lessened tensions and fostered increased tolerance between the different groups of the society. The first Confucius Institute was created on the 21st of November 2004 in Seoul, South Korea. Following this, hundreds more have been opened in dozens of countries around the world. 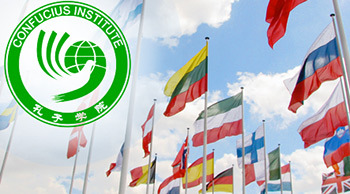 Confucius Institutes headquarters are located in Beijing, since the program is controlled and overseen by the Office of Chinese Language Council International, a non-profit organization that collaborates with the Chinese Government. The number of Confucius Institutes around the globe has multiple functions linked to the strategy of "soft power" employed by the Chinese government, such as the promotion and teaching of Chinese language and culture abroad as well as the encouraging of trade relations abroad. Here, Cultural Diplomacy is actively being used by China to promote a favourable image of the economic giant abroad. 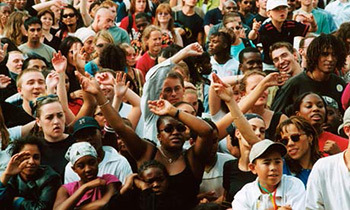 'Playing for Change' is a global multimedia music project, started in 2004, which attempts to bring together musicians from all over the world. The project, initiated by the American producer and sound engineer Mark Johnson also created the non-profit organization "Playing for Change Foundation", which builds music schools for children around the world. 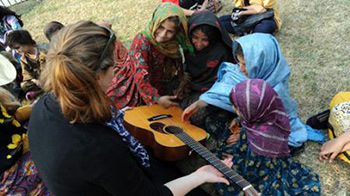 The project uses the medium of music to achieve its main aims: to inspire, connect and bring peace to the world. Mark Johnson travelled around the world to record the same song performed by a number of different musicians, each with their own interpretation of the song. The first song recorded was "Stand by me", and all the recordings have recently been made into a short film, which has reached over 56 Million views on YouTube. 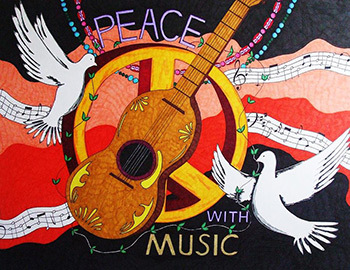 Music is an exemplary tool to achieve peace and to connect people from different countries and cultures, focusing on unity instead of difference. 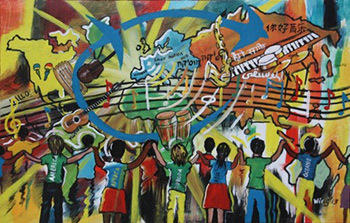 'Playing for Change' crosses national boundaries in as similar way to the Eurovision Song Contest. 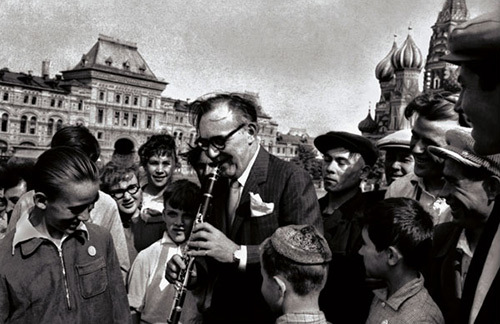 Following in the footsteps of Cold War "Jazz Ambassadors" like Dizzy Gillespie and Louis Armstrong, the US State Department launched the "Rhythm Road" program which involved sending American musicians abroad to areas where the US society and culture are often met with animosity. Rhythm Road represents the new generation of musical ambassadors; reaching beyond concert halls to interact with other musicians and citizens around the globe. Designed to promote intercultural dialogue, bypass negative images and fight stereotypes, the program has seen American artists interact with peoples and audiences from Africa, Asia and South America. 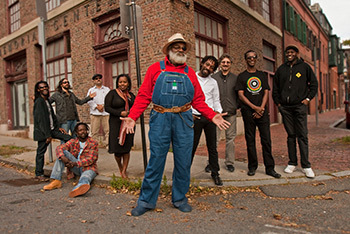 Although an overt act of Cultural Diplomacy sponsored at the state level, Rhythm Road promotes real grassroots interaction between US musicians and peoples of the world, promoting a spirit of cooperation, friendship, creativity and peace. 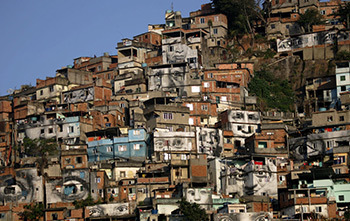 In 2008, the French urban 'Artivist' JR initiated the 'Women Are Heroes' project, in which he highlights the dignity of women who are often targets during conflicts. In his international tour for 'Women are Heroes' he went to Cambodia, India, Brazil, Kenya, Liberia and Sierra Leone and pasted enormous posters of captured images in public spaces - on walls of churches and mosques, the sides of buses and trains etc. The project introduces us to women have looked death in the face and have had a painful past, but dream of a bright future. Looking inside the minds of these women, JR tried to get close to what is common to all of them: namely the human being. Through the 'Women are Heroes' project, JR tried to describe tales of women who experienced horror and hardships in their life, through art. His project is one of images over words. Women from all over the world are brought together to share both the nightmares of their past and their hopes for their future, in front of JR's camera. In 2011, the Benetton group created the UNHATE Foundation for its new worldwide communication campaign. The campaign was an invitation to the leaders and citizens of the world to combat the culture of hatred in all its forms. According to Benetton "These are symbolic images of reconciliation—with a touch of ironic hope and constructive provocation—to stimulate reflection on how politics, faith and ideas, even when they are divergent and mutually opposed, must still lead to dialogue and mediation". The new campaign, the creation of the Foundation and the other initiatives of the UNHATE project reflected Benetton's wish to drive the desire for participation and change that animates the world's citizens. The controversial ad series won the Press Grand Prix at the Cannes Ad Festival in 2012 and represents an oustanding example of Cultural Diplomacy as it aims at contributing to the creation of a new culture against hate in the international community. 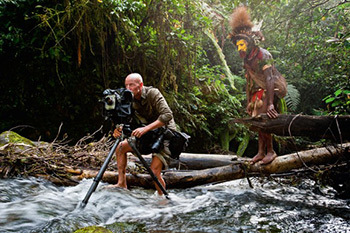 The photographer Jimmy Nelson travelled for three-and-a-half years around the world to document the vanishing cultures of the world. Nelson photographed 35 populations with no intention to adapt to the modern world and spent up to two weeks with each population in order to capture the 'true image' of their culture. Nelson was familiarized with traditional rituals and customs, documenting these through photography. His photographs show unique hairstyles, jewellery, and clothing in front of astonishing surroundings. Nelson's idea was to show the 'purity of humanity' and to capture diminishing cultures before they pass away. He wanted: "to create an ambitious aesthetic photographic document that would stand the test of time. A body of work that would be an irreplaceable ethnographic record of a fast disappearing world." 'Before they pass away' is a perfect example of Cultural Diplomacy in practice through the medium of art. The photographs show the necessity of preserving cultural heritage in a time of globalization. Its focus on showing different ways of life and making people aware of existing cultures around the world is of paramount importance. 'Israel loves Iran' is a social media movement whose goal it is to promote peace between the two countries and to bring Israelis and Iranians together. It was initiated by the Israeli, Ronny Edran, who posted a picture of himself and his young daughter on Facebook with a graphic stating, "Iranians, we love you, we will never bomb your country". The photo went viral and achieved the support of 1000 Israelis and Iranians. The campaign is a good example of Cultural Diplomacy in practice, as the main purpose of the movement was to bring the Israelis and Iranians together and to improve the relations between the two countries using social media. The Virtual Dinner Guest Project is an international forum of dialogue that is based on the premise: 'It is harder to ignore, vilify or harm those with whom we have broken bread'. The mission of the project is to connect the world at its dinner tables in order to promote free speech, alternative media, and social innovation. During a 90-minute dinner shared via Skype, participants discuss news headlines of their communities on topics like human rights, development and public health. When the dinner ends, the creative parts begin as both parties take a few questions to the streets of their local communities, and film people's responses. This project bridges geographic distances, connecting people across their cultural differences over a virtual dinner. Discussing relevant news topics with people from across the globe (e.g. native Americans who dine with inhabitants of the Gaza Strip) is an ideal way of exchanging cultures and improving relations between divergent groups. On August 16th, a heavily pregnant Muslim woman was attacked in Sweden for wearing a veil. Following the attack, the hijab appeal was launched on Twitter, encouraging women of all faiths to wear a veil on the 19th August as a sign of solidarity to the assaulted woman. 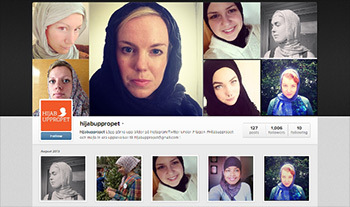 The appeal garnered immense media attention as thousands of women took to social media to post photos of themselves wearing a veil with the hashtag "#hijabuppropet", including television presenters and MPs. Some of the women who were behind the appeal were invited to discuss the issue of hate crimes with the Minister for Justice Beatrice Ask; the women advocated for a Government commission to regulate the manner in which police handle hate crimes against Muslims. The Hijab appeal raised awareness of the need to tackle intolerance toward Muslims. The unified action of thousands of social media users demonstrated respect for the beliefs and choices of others. 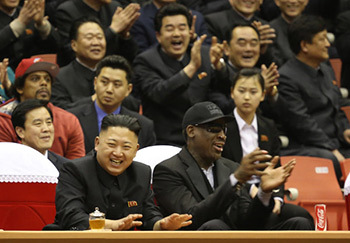 In September 2013 Dennis Rodman, retired American Hall of Fame professional basketball player, announced that he had accepted the position of head coach with North Korea's national basketball team. Although initially rather controversial, Rodman's trip has increasingly been interpreted as a meaningful act of bilateral, non-governmental cooperation that has indirectly thawed relations between the USA and the North Korea. Very few Americans have the opportunity to visit North Korea and no single North Korean leader has been granted a visit to the USA. As such, Rodman's move was quite exceptional; especially considering that it came barely a year after Pyongyang threated the Western World with a nuclear attack. The cooperation between the 'bad boy' pierced, tattooed and cursing American sport celebrity and Kim Jong-un is a fantastic example of Cultural Diplomacy through sport. It continues the tradition of unusual yet effective intercultural dialogue first seen with the Ping-Pong diplomacy of 1940s. A less politicized approach, which does not deliver direct political prestige or diplomatic recognition, can have a positive influence on official relations between countries.